The purpose of this Fellowship is to encourage faculty to engage with community partners to better the community in a manner that also enhances their teaching and scholarship. Community engagement is defined as the collaboration of the university with the public sector for the mutual benefit of all. This engagement is not simply service or membership, but it is the combination of meeting a community need through teaching and/or scholarship. The proposed engagement work must take place within Veridian's field of membership and with a nonprofit organization to receive the Fellowship. 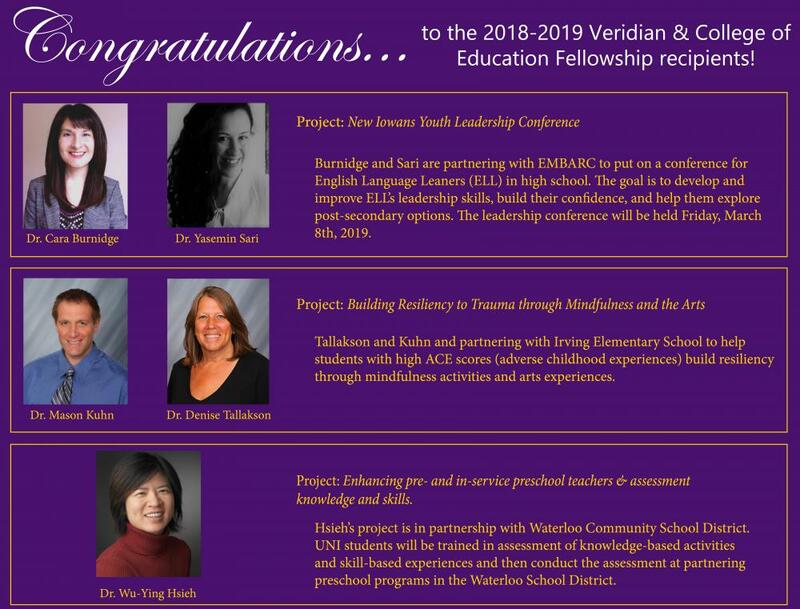 Check out our Veridian Fellowship Impact Report, an overview of Veridian fellowship recipients from 2006-2018! For the application criteria click here.